Panic sets in somewhere around the fourth bite. The flood of capsaicin takes hold, your adrenaline spikes, the sweat starts to drip, your nose begins to run, and you realize there’s no turning back: The crunch, the juiciness, and the cayenne-smacked transcendence of Howlin’ Ray’s Nashville hot chicken has you hooked. As you reach bite five or six, you think maybe the kitchen got your ticket wrong. You played it safe and ordered the medium—it shouldn’t hurt this bad. But with chef Johnny Ray Zone shouting orders down the line and his army of cooks barking back “Yes, chef!” you get the sense that this tightly run ship doesn’t often stumble. 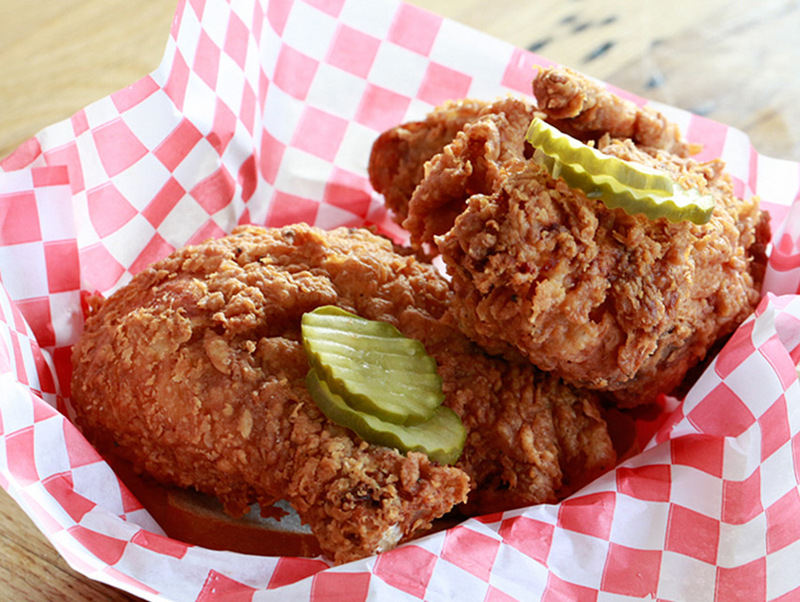 Zone and crew are cooking a single dish to perfection, and the hour-long lines for hot chicken prove that the idea of keeping it simple paid off. —J.S.